Artificial intelligence (AI) is the ability of a computer to mimic human cognitive skills, such as learning and understanding. Although still in its early stages, AI is already changing the landscape of company communications. It allows businesses to engage with larger numbers of customers without sacrificing the quality of the interaction. 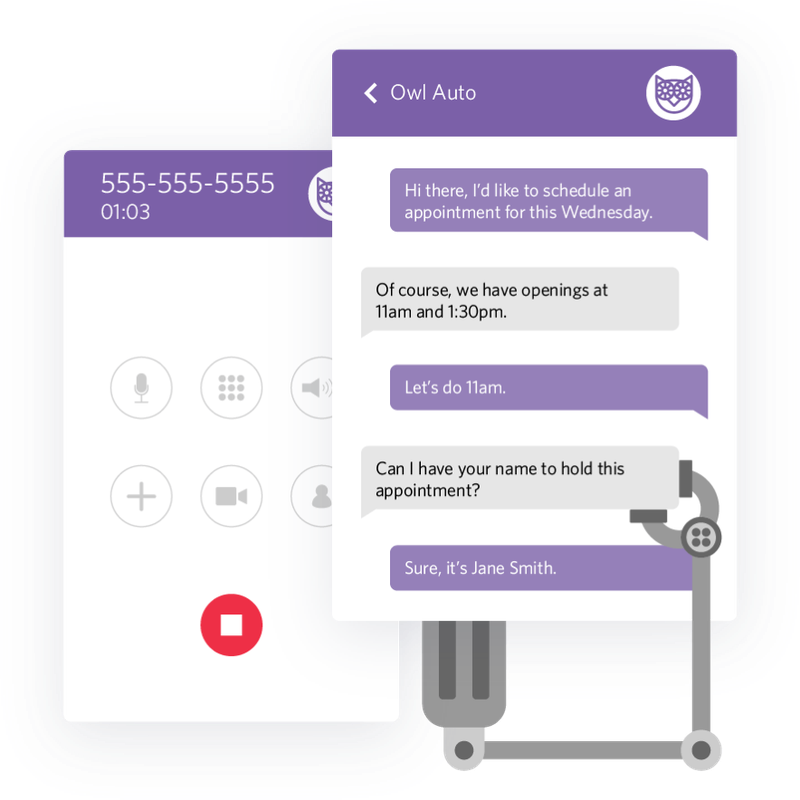 Today, businesses use AI to chat with customers, route calls, send emails, and more. By 2020, Gartner predicts that customers will manage 85% of the relationship with an enterprise without interacting with a human. This is possible because of advances in machine learning. Machine learning refers to the ability of AI systems to learn and improve automatically, taking in data through observations and interactions and adapting accordingly without being explicitly programmed. Essentially, machine learning models program themselves. Advances in artificial intelligence (AI): A wealth of computing resources and large data samples have pushed AI further and faster than we ever expected. Adoption of APIs and microservices: Development trends have moved away from monolithic applications. 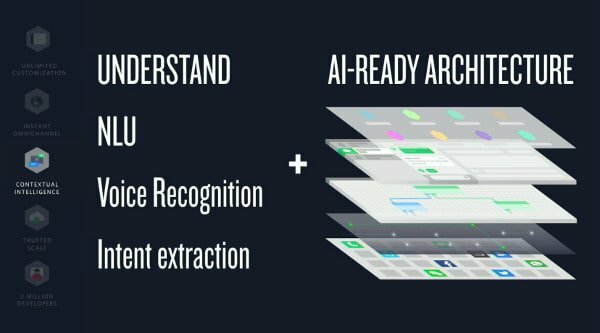 Now AI can understand a calendar, look up current inventory, or make updates to systems in real-time. Adoption of messaging by businesses: Business-to-consumer communication has created new business use cases for bots, driving even greater adoption of this technology. AI offers multiple benefits to both customers and businesses. Among the most apparent benefits to customers is shorter hold times. AI can be used to help route callers to the proper destination quickly, skipping some — or all — of the traditional phone menu. An example of an intelligent routing system is the Twilio TaskRouter API. TaskRouter dynamically assigns messages to the human agents that can best handle them. Messages and other types of data can be routed based on the “skills” required and the set priority. AI applications like this help build superior customer experiences. For businesses, cost savings are a significant driver to the adoption of AI for customer support. While a customer service phone call costs a business $6 to $20 per call, automated calls cost an average of 25 cents. However, the benefits of AI extend far beyond the bottom line. When automated services take care of a portion of customer service requests, agents are free to handle more complex requests. This reduces customer frustration while continuing to reduce the load on each live agent, allowing operators to specialize and give better service. Bots are software that let a customer interact with a business through messaging. They are an increasingly common use of AI in business communications. While some bots operate on their own, many others support and augment a human agent that’s representing the business. Bots provide automated responses based on message analysis using technologies such as natural language understanding (NLU) and intent extraction. Bots can learn from human decisions, so they get better with algorithmic and data-driven decisions day-by-day. Eventually this reduces the need for humans to step in. When bots deliver a subpar experience to a human agent, companies are left to balance higher costs associated with human support agents and the negative CSAT implications of a poor chatbot. It doesn’t have to be this way. 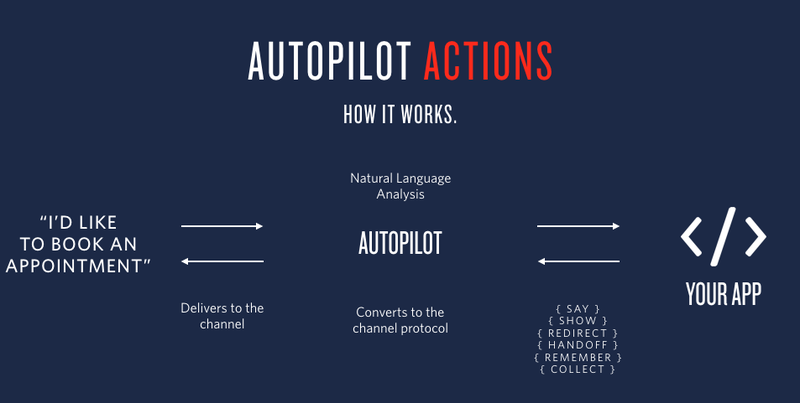 At Twilio, we’ve created Autopilot, a conversational AI interface, to bridge the gap between human agents and self-service bots. Build intelligent IVRs, bots, and Alexa apps that are powered by Twilio-built natural language understanding and machine learning frameworks. Autopilot provides the training pipeline and interfaces to train your bots using real-time data, making your bot smarter over time. Bots that can contextually handoff to a human. Smoothly transition a bot conversation to a conversation with agents in a contact center, passing along the full context of the interaction. Autopilot responses are adapted to provide the best experience on nearly any channel including IVRs, SMS, Chat, Alexa, Slack, and Google Assistant. Developers can build once and deploy across multiple channels instantly. Contact centers are a hive of activity, filled with repetitive work and lots and lots of data. This is an ideal environment for AI and automation. If AI can deliver what we want it to, we can actually decrease costs while simultaneously increasing customer satisfaction. However, there are always roadblocks along the way. We still need human agents to create intimacy with our customers. Intimacy drives loyalty, which drives customer satisfaction. Satisfied customers tend spend more money. Ultimately, the question is not whether we should be using AI, but how do we apply it appropriately while still keeping that human touch. Along with keeping the human touch, we also need to keep our human agents happy. Happy agents create better experiences for customers and stay with your contact center longer, reducing churn and costs. Agent-assist AI can also be useful here. Ultimately, the goal of AI is to help customers have a more personalized and efficient experience without them even noticing. AI improves agent conversations by helping to anticipate customer needs and automate actions where possible. In cases where customers can self-serve, AI tools can help those interactions be more human. Twilio Flex was built to allow complete customization all the way through the stack: AI can be applied at every layer. Tangibly, you can focus on using AI before the agent interaction, such as by building chatbots or using sentiment analysis to improve routing. Or you can use AI to assist agents during an interaction or for agent training in conjunction with workforce optimization (WFO) analytics.